As I explained on Caveys in France page and shown in Orne page, the Orne' branch of Caveys where "escuyer-seigneur de Fontenil" ("Squire-Lord of Fontenil"). 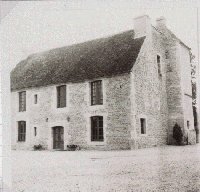 In 1973, my parents went through Orne department researching for this manor. 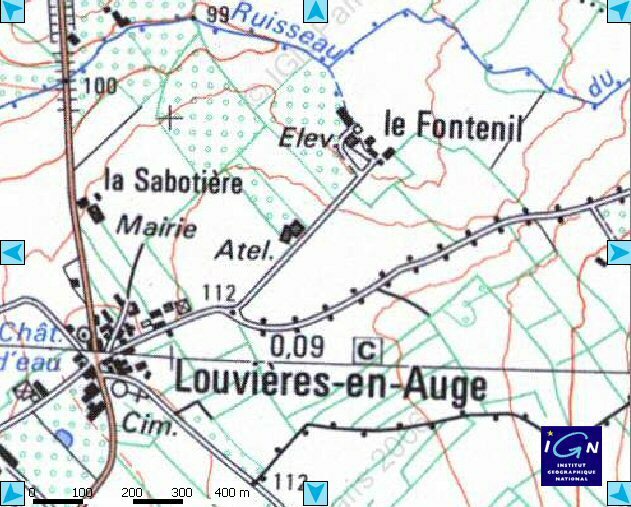 The Fontenil is at Louvière en Auge at about 1.5 kilometers (0.9 miles) north from Trun (see the map on Orne Page). According to a document my father saw during this first travel, the Fontenil was build during the XIII century and modified during XVI and XVII centuries. In "Le pays d'Argentan - 1961" (The country of Argentan - 1961), Xavier Rousseau writes that the manor was named "Fontenil" because it was near a "Fontaine" (spring) which becomes a small river : "the Radon". He adds that the Fontenil was the residence of the Caveys during XVII and XVIII centuries. Farther he said that the Fontenil has never been a fiefdom. That is a good reason to think that Caveys where nobles from time immemorial. 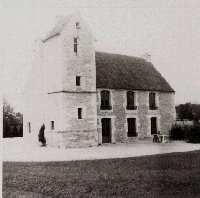 When my parents visited that place in 1982, it was just bought and restored by Mr. Marcel Platevoet. [Note of the editor] : since I wrote this text, I have received mail from a unknown French who told me that his Grandfather and his mother lived there from 1962 to 1982. It did not give his name but has used a nickname : Biniou Hurlant (standing for "Howling Bagpipe").